Sound good? We can show you how. 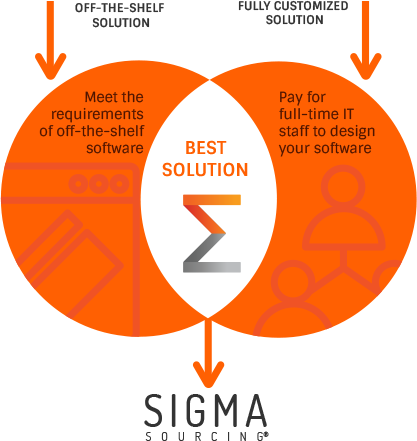 SIGMA SOURCING is easily adaptable, so you will never outgrow your software again. Still on the fence between an off-the-shelf solution or hiring developers to create your own software?